According to the U.S. Treasury Department, Syria's Electronics Institute "is responsible for missile-related research and development." In January 2007, the U.S. Treasury Department sanctioned the Institute under Executive Order 13382, an authority aimed at freezing the assets of proliferators of weapons of mass destruction and their supporters. No further information about this facility is available in open source literature. Jeannine Aversa, "Treasury Moves to Clamp Down on Syrian Entities Accused of Spreading Weapons," AP, 4 January 2007. 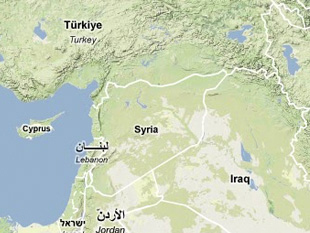 "Three Entities Targeted by Treasury for Supporting Syria's WMD Proliferation," U.S. Department of the Treasury, 4 January 2007, www.ustreas.gov.